Short films about Water // Submarine is an evolving group of site-specific time-lapse films / animations about water, ice, and worlds above/below our flooding shorelines by Winters and a sonic world based in Ficarra’s longstanding fascination with the submarine world. 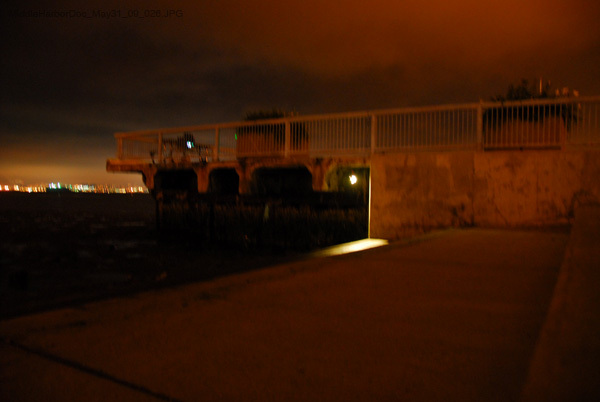 Ian Winters (SF) (film), Evelyn Ficarra (UK/SF) (music) . Shown above is a 10min excerpt of 3 screen installation version of short films / submarine. 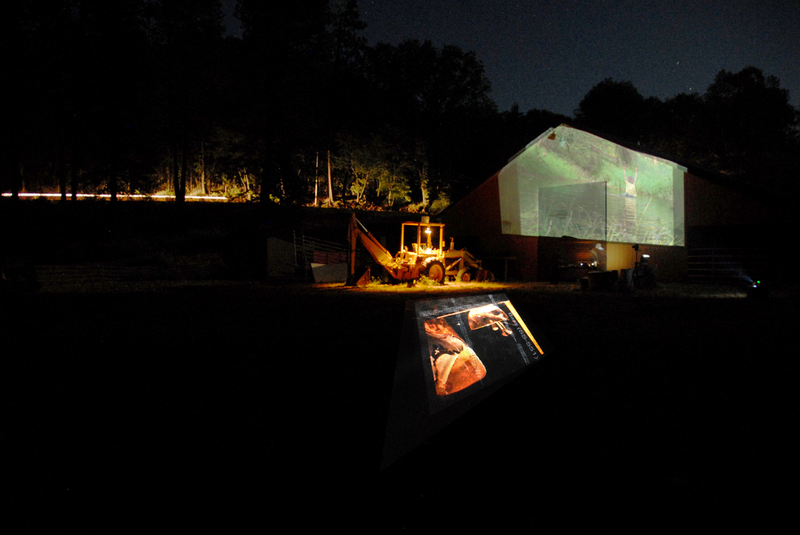 Stills throughout the page are from the outdoor installation at the Port of Oakland where media was mapped onto the landscape of the port and the POTO arts festival in Grass Valley, where another iteration of sound and projection was mapped onto the landscape. 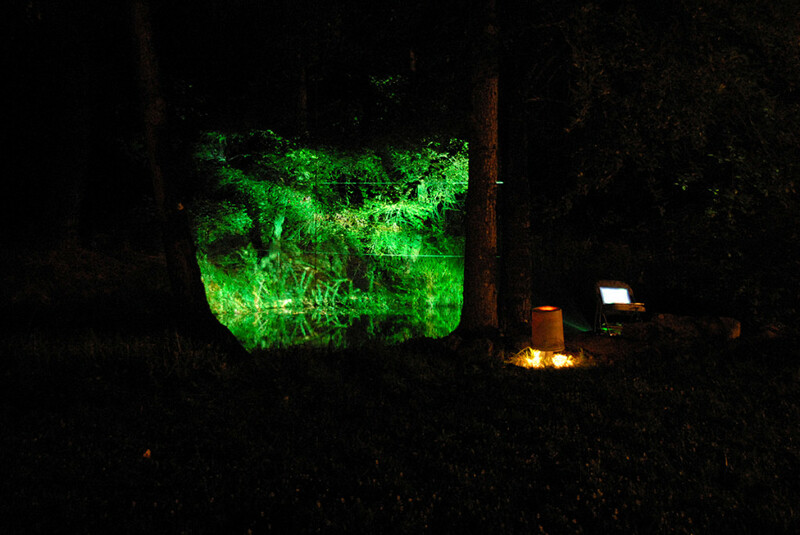 Installation at the Pond – Poto Arts Festival (mapping of timelapse of a pond environment, back onto the pond at night. 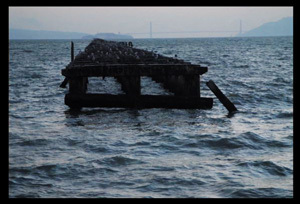 Inspired by a fascination of things above and below water, and the passage of time — the films merge site-based animation / interventions with physical sites around the globe where sea meets land meets history, and which may submerge in coming years. The project is embedded in the age-old (and present) fascination with sea – visually and sonically mapping place-specific worlds of water, shipwreck, geography, listening and loss. At each iteration and site the project evolves – and presents as both a cinematic film, and as a multichannel live video / sonic installation environment that slowly transforms on a day to day and year to year basis using a live “score” of human and environmental inputs including tidal flow from weather buoys, shipping traffic arriving/departing for ports known and unknown, and Greenland’s rate of glacial melt. The research phase of the project was supported in part by funds from Meet the Composer and The Zellerbach Family Fund for the MilkBar Film Festival, and a residency at I-Park. Ficarra’s album, Submarine Revisited is released by UK label Unknown Public, Critical Notice imprint. Installations and screenings include the Moscow Composers Union, City University – London, I-Park Artist’s Center in Connecticut, the Moving Baltic Sea Festival in St. Petersburg, RU, the Journées de l’électroacoustique in Paris, FR, the MilkBar Film Festival in Oakland, the Theatre Noise festival in London and site specific installations as part of the POTO festival, at Oakland, CA’s Middle Harbor State Park for the Illuminated Corridor , and the Luggage Store Gallery in San Francisco for the the Music by the Eyeful series. 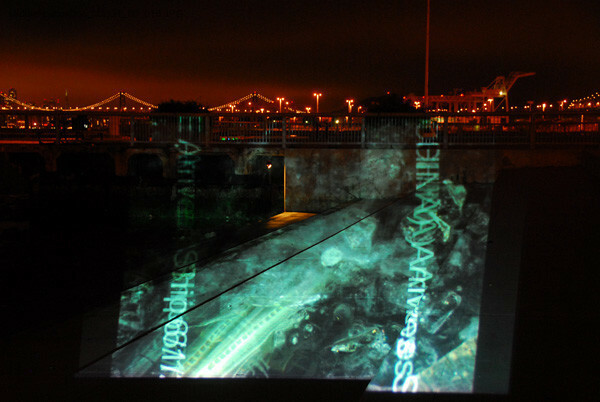 Inspired by a fascination of things above and below water, and the passage of time — the films merge site-based animation / interventions with physical sites around the globe where sea meets land meets history, and which may submerge in coming years.